It was a perfect time to go (read not too hot!) 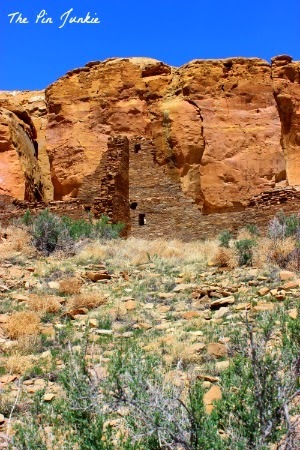 We took our bikes with us and rode the nine mile loop to see the ruins in the canyon. 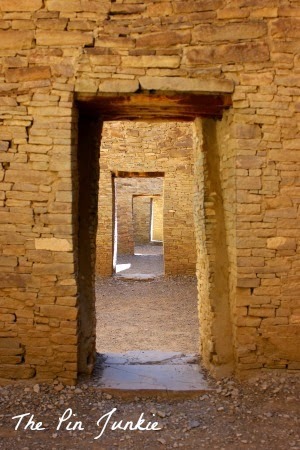 Dozens of structures, known as great houses, were built in Chaco Canyon between 800 - 1050 A.D. They are aligned to solar, lunar, and cardinal directions. The buildings were not lived in, but were used only periodically when people came to the canyon for important ceremonies and trading. This area was connected by roads to more than 150 great houses throughout the region. 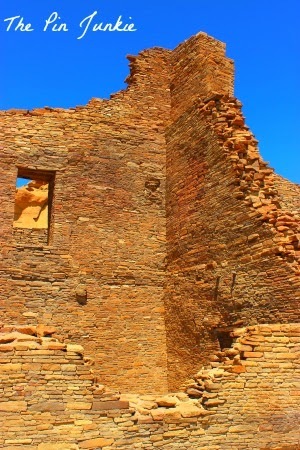 Not much is left of the buildings except some walls, but they look very striking against the blue sky of the high desert and the red cliffs of the canyon. 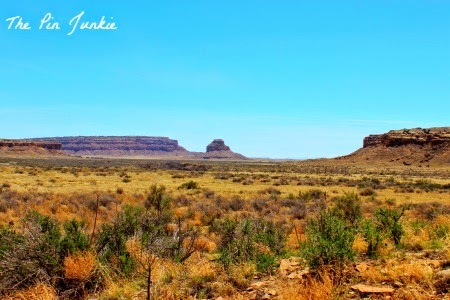 Chaco Canyon was added to the UNESCO World Heritage List in 1987 and it's one of only twenty World Heritage sites in the U.S. 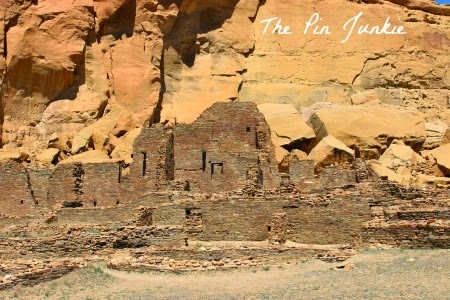 It's also a sacred ancestral place of the Pueblo cultures of Arizona and New Mexico. 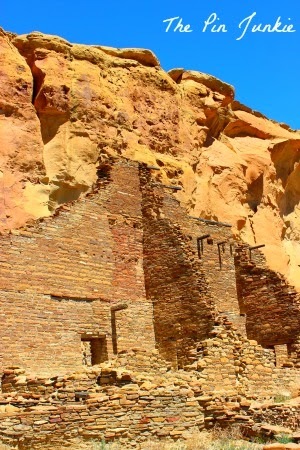 It's believed that the culture that made these structures also made the cliff dwellings at Mesa Verde in Colorado. A few years ago, I got to visit Mesa Verde which was also spectacular. Isn't it funny I have so many places pinned on my Pinterest boards that I'd like to travel to someday, and I haven't even seen the things that are in my own back yard? Chaco Canyon was beautiful and I'm glad I finally got to see it!